8-bit tribute games are a dime a dozen these days, with numerous indie games that throw back to the days of the Nintendo Entertainment System. It’s not every day a developer goes back to the Game Boy, with a scant few examples like Pirate Pop Plus and Artifact Adventure Gaiden. 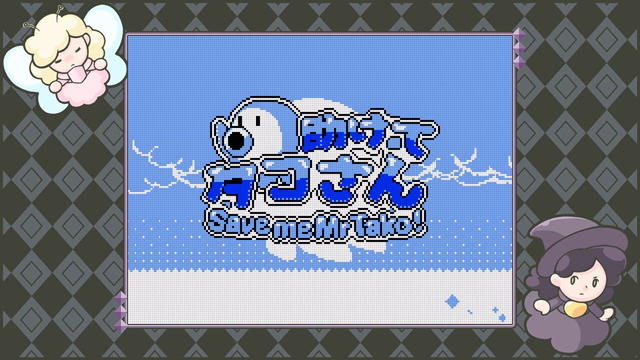 Developer Christophe Galanti happily obliges with his own Game Boy tribute with the delightfully-titled Save me Mr. Tako! (with the very Japanese Tasukete Tako-San for the subtitle). This adorable platformer is an homage that nails the look, feel, and style of Game Boy games that pulls from a number of retro inspirations in ways both good and bad. Save me Mr. Tako! has a surprising amount of narrative wrapped around its platforming hijinks. The world is at war between humans and octopuses. There’s also the parallel war between octopus brothers Tako and Bako, one who wants to aid the ailing humans and the other take the land and sea back from humans. It takes no time for Tako to embark on a grand quest to bring peace to both sides before it gets worse, teaming up with human princes, princesses, and rescuing good folks along the way. It’s impossible not to get caught up in pointing out everything Mr. Tako! was inspired by in its video game cultural stew. The raw platforming, visual design, and the overworld, largely pull from Game Boy’s own Kirby’s Dream Land 2. The story, with its themes of war, colonialism, and the strained family relations in a ruling monarchy feels like an 8-bit Final Fantasy or Dragon Warrior; I doubt you’d have seen a localization of this scope on the Game Boy back in the ’90s. And if you look between the margins (hidden areas in select levels), you’ll find a surprising amount of world-building storytelling on top of the main plot. Mr Tako‘s platforming hook cleverly utilizes its octopus protagonist. You’ll hop around and shoot ink on enemies to freeze them, able to use them as platforms to reach inaccessible areas and progress. While shooting ink is a fun mechanical twist from 8-bit norms, I was discouraged from playing the game like a side-scrolling shooter thanks to the ink meter that fills up as you shoot. Filling it too much brings you into a cool-down mode for a brief period. 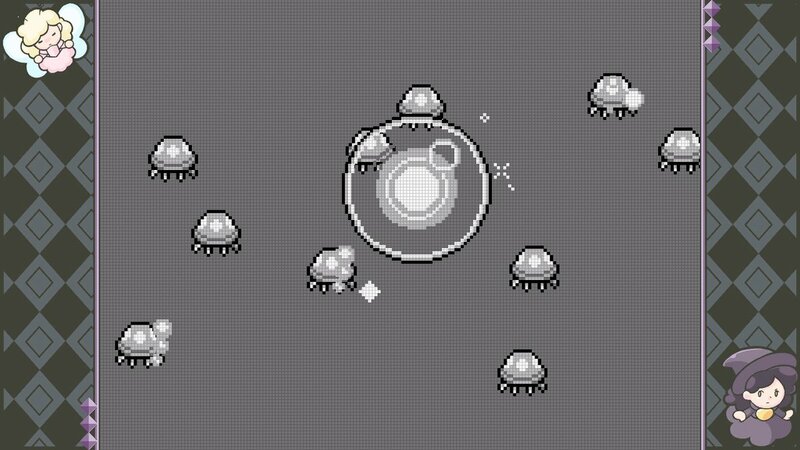 There are no health bars in Mr Tako: one hit, and you’re dead. Eventually, Tako has access to a number of collectible hats, which act both as an extra hit point and which grant him unique power-ups. This vast collection gives you access to abilities like fire to burn vines or bombs to blow up rocks. Many of the hats come naturally through progression, others are hidden and require specific hats to reach. You’ll have to dig deep and jump to out-of-the-way places to find all 50. A secondary goal is soon introduced where you must rescue a number of child prisoners of war who were captured by the octopi army. You can’t say you’ve completed the game until you free all the kids (shades of the Genesis/arcade title Moonwalker). The main platforming levels themselves vary from short jaunts up to intricate labyrinths. Occasional side quests, secret levels, and multiple mini-games add further incentive to explore every nook and cranny of all six overworlds. Despite its appearance, Save me Mr Tako! routinely doesn’t pull punches. While it takes lots of inspiration from the beginner-friendly Kirby series, this is anything but a breezy adventure. 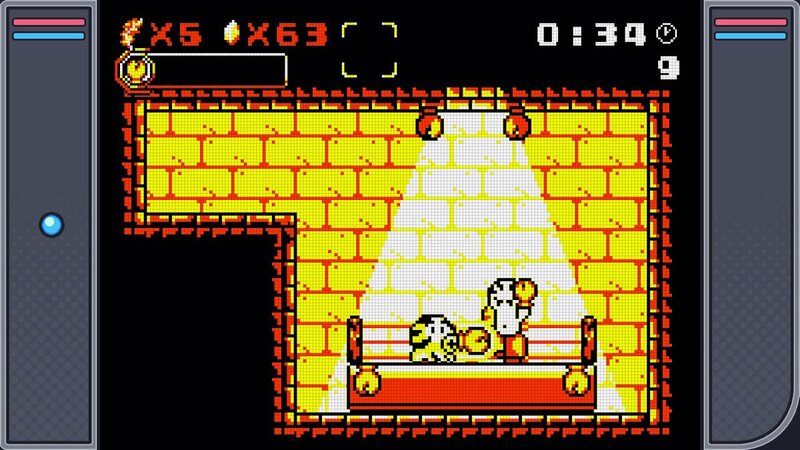 The difficulty curves upward by the third world, relying heavily on “gotcha” moments, where something from off-screen drops onto Tako to deliver a one-hit KO. Then again, I suppose it is my fault when I get killed by a crow or bat or spider I can’t see coming towards me. Or that icicle that falls from above when I’m jumping to that platform where it is in the first place (grumble grumble). Challenge can be a good thing in platformers, but I start getting testy when it feels like I’m dying through cheap moments. In longer levels, like those that lead up to a boss fight, the checkpointing is the absolute worst. I’d die repeatedly in a story-heavy level and, upon Game Over-ing, I had to start the whole level over from the beginning. And unfortunately, you can’t skip the dialogue scenes that bookend those levels, at all. When trying to access specific areas or secrets with a certain hat, if you get hit once, you’ll lose your hat and sometimes will have no way of getting it back unless you exit out. And be sure to pay attention to the character dialogue, because that is often the only way to know where to backtrack in the overworld when a new level doesn’t unlock. At least there is some clemency offered. When you hit “Game Over”, you start back outside the level you died on. And with boss fights, the checkpoints at least take you back to the boss arena. And when you do exit a level because you lost that power-up hat you needed, you’ll get it and any lost lives back with no penalty. And given Tako’s generous jumping abilities and the accuracy of his ink shot, the controls are rather tight and easy to master. I can’t be too mad at the whole thing because of how cute it is. With a retro-throwback game like Mr Tako, I got what I pay for: a charming, pixel-art platformer with a cutthroat, ruthless difficulty, like in the “good old days”. 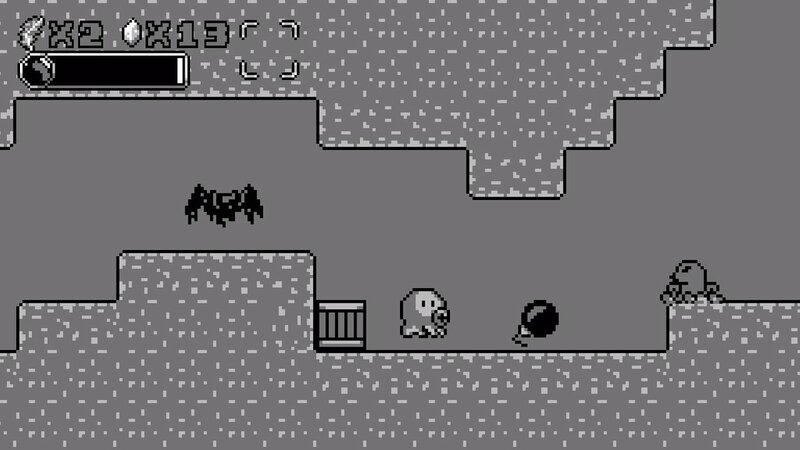 Given how much you’ll be dying, the variety and length of many levels, and the essential exploration to unlock everything, Mr Tako can last a surprisingly long 20 hours, if not more. At $14.99 USD, I think it’s a good deal. 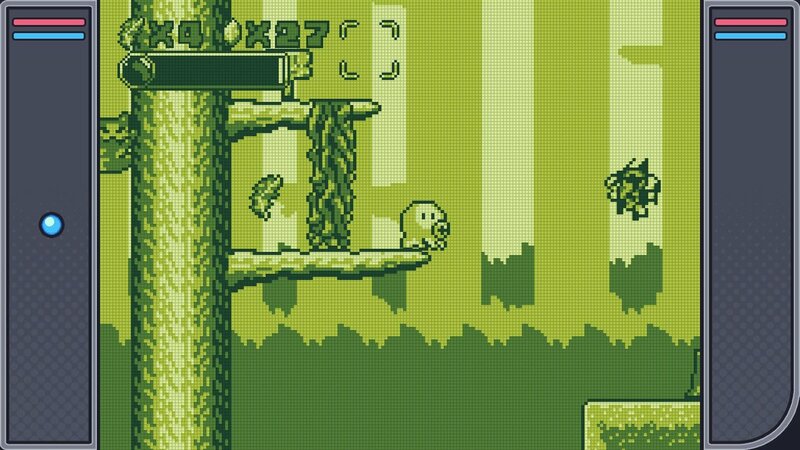 With four years spent in development, Christophe Galanti really nailed the Game Boy look for Mr Tako. Within its limited graphical boundaries, the 8-bit visuals convey a variety of environments, from whimsical undersea locales, wanderlust forests, and foreboding gothic castles. Tako and the rest of the cast themselves are oh-so adorable. Mr Tako nails the chiptune audio department as well, with the music by Marc-Antoine Archier inking up some chipper, catchy tunes evoking multiple genres but fitting the bouncy world of Tako. Save me Mr Tako! has been one of the most intriguing retro offerings on tap since it was announced in 2014, and one of my own anticipated Switch titles since its formal Switch announcement in 2017. As a fan of the Game Boy’s loving simplicity, what’s not to like? 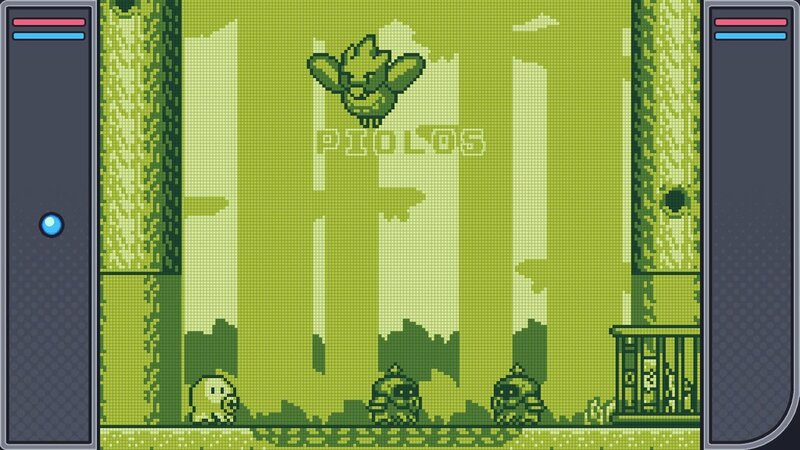 It’s the commitment to aesthetic cohesion that just screams of the Game Boy. Like with the best of other ambitious retro revivals, you could reasonably see it running on real hardware. The platforming is tight, the presentation is charming, and the world cute. Also as with these retro games, the difficulty is the deal-breaker. 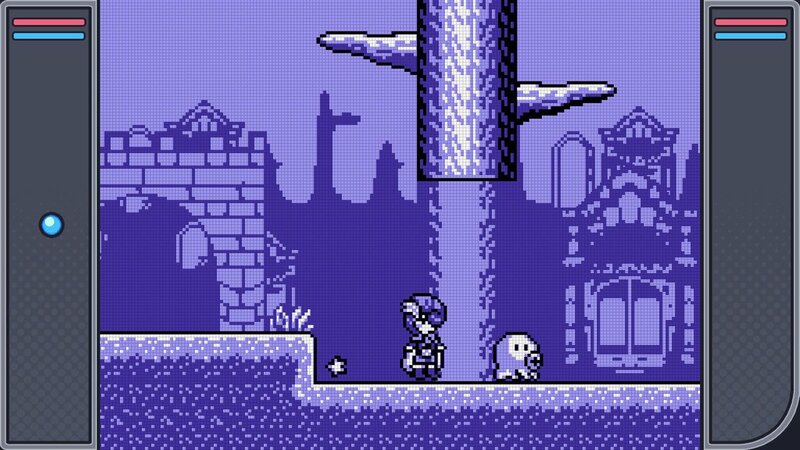 The biggest gripe I have is with the difficulty, which is a shame because the world built around Mr Tako is so cute and inviting. Save me Mr Tako! often improves on its inspirations as well. It plays like Kirby, but offers a longer quest and an admirably meatier challenge. It has the kid-rescuing angle of Moonwalker but without being clumsy and awkward. The story and character dialog feel balanced between the simple localizations of the Game Boy era and the recent trend of quippy writing in modern retro indies. For me, Save me Mr Tako! is a case of tough love. There’s so much to admire, but it can often be cruel to get through. If you’re down for a retro tough love letter, dive right in where it’s wetter and see if things are better.